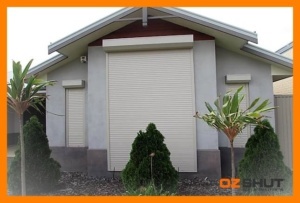 We recently had 5 roller shutters installed at our property, 3 of which are electric and so far are really happy with the results. After spending considerable money on tinting all of our windows, it was still so hot so we decided to invest in OzShut roller shutters. The electric ones are reasonably quiet and they block out so much heat and light that we can now sleep a bit longer and there is no need to run the air conditioning as much or as high as we used to. We can’t wait to see what they are like in winter. Our kids are now also able to sleep a little longer without being woken by the sunlight through the blinds and they have been able to block out some of the noise from our neighbours. The guy that came to install the shutters was fast and it only took a few hours for the 5 shutters to be done, the guys that installed the motors were also fast and cleaned up nicely afterward.